For more information on joining the Tiger Battalion, text “NG70” to 462769 or fill out our information form today! 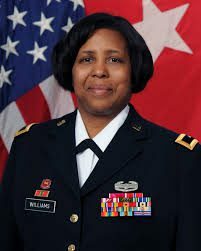 Brigadier General Donna R. Williams retired in 2018 as the Deputy Commanding General – Support at the 412 Theater Engineer Command in Vicksburg, Mississippi. Prior to this assignment she was the Garrison Commander at Fort Hunter Liggett, California. 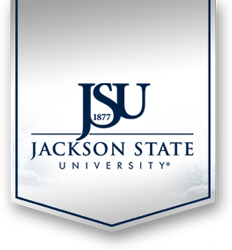 Brigadier General Williams is a native of Vicksburg, Mississippi and earned her commission through the Army ROTC Early Commissioning Program at Jackson State University in Jackson, Mississippi where she also received a Bachelor of Science degree in Computer Science. Before she entered the Active Guard and Reserve (AGR) program in 1990, she served as a Civil Engineer in the 412th Engineer Command. She deployed to Baghdad as part of Operation Iraqi Freedom from May 2006 to May 2007, serving as the Army Sustainment Command’s Logistics Civil Augmentation Program Support Officer. Her assignments in the AGR program include serving as Force Management Division Chief for the United States Army Reserve Command at Fort Bragg, North Carolina; Operations Officer, Executive Officer, and Commander of the 926th Engineer Battalion in Birmingham, Alabama; Engineer Organizational Integrator and Branch Chief of the Army Reserve Command in Atlanta, Georgia; Commander, Company A and Company B of the 411th Engineer Battalion in Maui, Hawaii; and Operations Officer of the 493rd Engineer Group in Dallas, Texas. Brigadier General Williams holds a Master of Business Administration Degree in Information Technology and Military Management from Touro University, and a Master’s of Strategic Studies from the Army War College. Her military education includes Engineer Officer Basic and Advanced Courses, Adjutant General Basic Course, Senior Transportation Qualification Course, Combined Arms and Service Staff School, Army Force Management Qualification Course, Army Command and General Staff College, U.S. Air Force Air War College and the United States Army War College. She also completed the Army Logistics Management College Contracting Officers Representative Course. Brigadier General Williams’ awards and decorations include the Legion of Merit Medal, Bronze Star Medal, Meritorious Service Medal with a silver oak leaf cluster, Army Commendation Medal with four oak leaf clusters, Army Achievement Medal, Reserve Components Achievement Medal, National Defense Service Medal with bronze service star, Iraqi Campaign Medal with campaign star, Global War On Terrorism Service Medal, Military Outstanding Volunteer Service Medal, Armed Forces Reserve Medal with silver hourglass and mobilization device, Army Service Ribbon, Overseas Service Ribbon second award, Reserve Components Overseas Training Ribbon with numeral 6, Combat Action Badge, Army Superior Unit Award, and the United States Army Engineer Association’s Bronze de Fleury Medal.